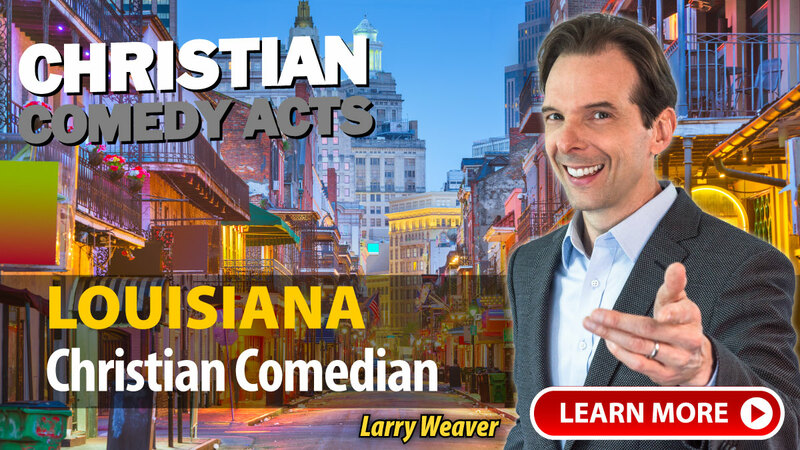 Christian Comedy Acts helps you find local Christian comedians, Christian speakers, Christian magicians, Christian ventriloquists, and top clean comedians in the Louisiana area. Find Christian entertainment for your church fundraiser, banquet, outreach or ministry event today. Christian comedy performance featuring relatable tales about everyday life, original funny songs, and musical impressions. Suitable for all ages and denominations. Arthur's comedy magic show features cutting-edge, fast-paced, and astonishing sleight-of-hand magic and mentalism. Tricks with cards, coins, borrowed watches, and rings highlight a performance filled with audience participation and true entertainment. "David Ferrell recently spoke for our annual appreciation banquet. He was so funny and entertaining the crowd of over 200 gave him a standing ovation which was the first time that had ever happened. He was very easy to work with and the icing on the cake was when he concluded his humorous talk with a brief inspiration testimony about the impact of a Christian camp when he was a boy. I would be very happy to recommend David to speak to any group." "David Ferrell exceeded any expectations we had. Everything was top notch. Not only was the performance spot on from start to finish, but David showed himself to be a class act in conversation and interaction with our team before and after the show. The way he captivated the audience's attention by relating to them through stories and kept them laughing hysterically through funny truths was spot on." A few of the towns these nationally-touring Christian Comedians have performed in include: Baton Rouge, DeRidder, Eunice, Farmerville, Iota, Kinder, Lafayette, Lake Charles, Marksville, Monroe, New Orleans, LA and others.